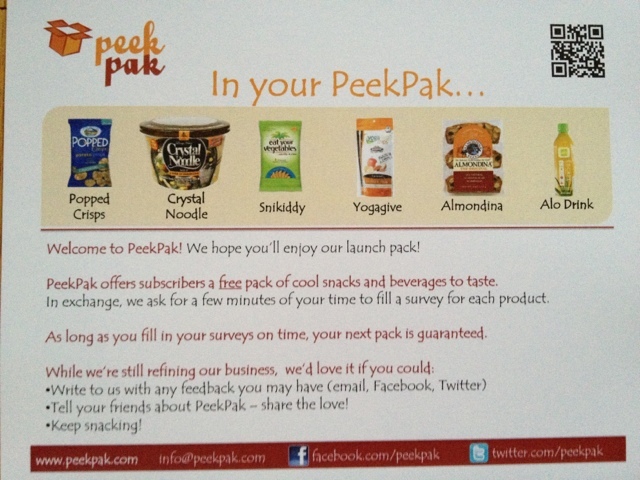 Recently I signed up and joined the PeekPak program, which is a completely FREE pack of yummy snacks and a beverage for you to enjoy. All you have to do is complete a survey at the end to get your next one. 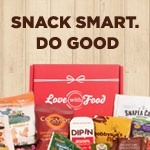 I cannot wait to devour my snacks and let them know what I think of each one. 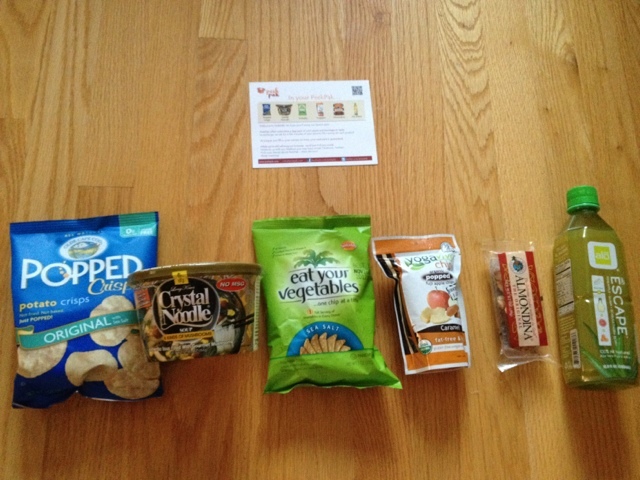 As you can see, I am getting about 6 products which is similar to what other paid foodie subscription boxes contain in theirs. Thank you to PeekPak and the companies in the box!